Welcome home!! This great two bedroom, two bathroom home has been redone very well, newer bathrooms, newer open concept kitchen with granite and stainless steel appliances, hardwood flooring, soaring ceilings, newer Air Conditioning and Heating and a nice wood burning fireplace!!! This fantastic home sits up in the trees with a great view!!! This fine resort style community is very well managed, the community features two pools, a fitness center, beautiful trees, great landscaping, etc... Water, Sewer, Trash and all exterior and grounds maintenance is included in the reasonable HOA fee.. 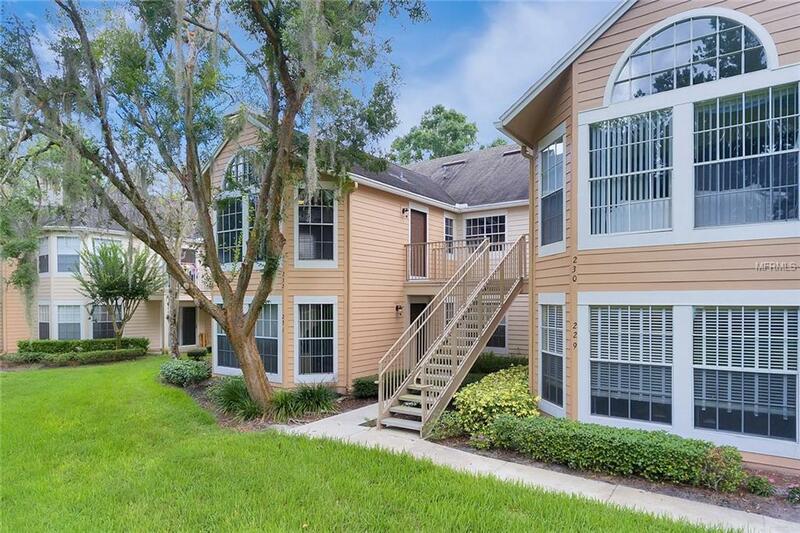 This fantastic community is located close to shopping, activities, Maitland, Heathrow and Orlando!! The Wekiva Springs State Park is a few miles up the road!! The current zoned schools are top notch: Award winning and nationally ranked Lake Brantley High School, Teague Middle School and Forest City Elementary School.. Call today to see this move in ready showplace!! Additional Lease Restrictions Hoa Approval Of All Tenants With A Fee..
Pet Restrictions Tenants May Not Have Outside Pets(Dogs That Need Walking Etc).